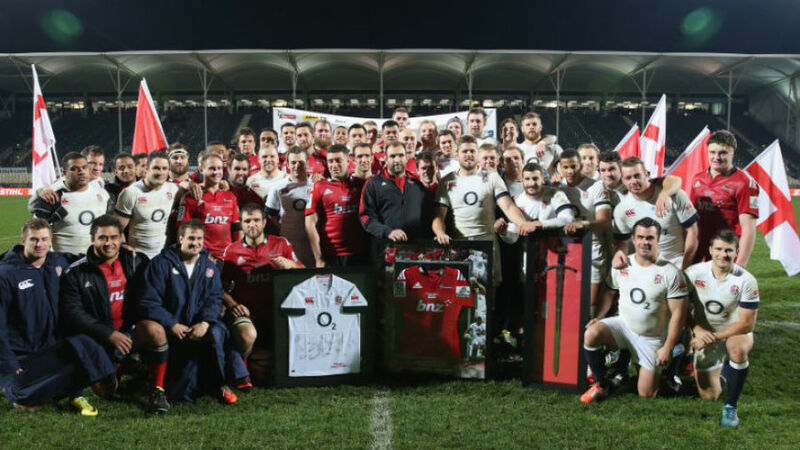 Had the logistical Gods handed Stuart Lancaster a different hand, England would have played two midweek matches on this tour of New Zealand but Tuesday night's game was a wonderful occasion. While the intensity tailed off a little in the second-half of the match, an inevitability when both sides empty their bench, the pop-up ground in Christchurch was packed to the rafters and there were seven tries to enjoy. It was exactly what touring should be about. For Lancaster, he wants to see more of these matches in the future. When England went to South Africa in 2012 they played two midweek games, but due to the proximity of the Aviva Premiership final to England's first Test here in New Zealand, that was never a possibility. With a World Cup just a year away, the match gave Lancaster and his staff an invaluable opportunity to see some of the fringe members of the squad a chance to impress and the likes of Alex Waller, Ed Slater, Matt Kvesic, Anthony Watson and Danny Cipriani did just that. In this ever-modernising money-driven game, there is a risk midweek matches will become an anachronism but Tuesday night's match showed there is enough about them to ensure they continue to be part of the calendar. "When you're in my position, you want to find out as much as you can about your players and whether they can make the transition from club rugby to Test rugby, or to play in a different style with different coaches," Lancaster said post-match. "If you don't generate a different style, you don't find out. "The benefits are measurable for me in terms of learning… not just from the game itself but all the lead-up to the game, everything involved in preparing for the game, the reactions of the players when they are picked or put on the bench. Those are all things you don't find out from watching them play for their clubs. Coaching them first-hand is the best way." Outside of touring, the opportunities for those in the Saxons set-up and the wider squad are limited. Lancaster, who coached the Saxons prior to taking on the top job, is a huge supporter of such 'A' games. The worry for Lancaster is that with Wales and France no longer operating 'A' sides and Scotland and Ireland yet to declare whether they will continue with their teams, there will be nowhere for Friday's Under-20 Junior World Championship finalists to go in the England set-up when they are too old for age-grade rugby. That is a battle Lancaster will have to fight when he returns to English terra firma. But last night's match was not just about England's development, it was also an essential tool for Crusaders' boss Todd Blackadder. This was a Cantabrian side without 10 of their All Blacks and for some of those who ran out in the Christchurch night, it may be their only shot at playing a Test team. He too sang the praises of midweek matches in the aftermath of their defeat. "I think it's fantastic," Blackadder said. "It's good for the touring team and it's a wonderful occasion. You should never under-estimate how much of an impact it will have on the young men and their future careers. We had three guys who played their first match for the Crusaders tonight and that was against England. 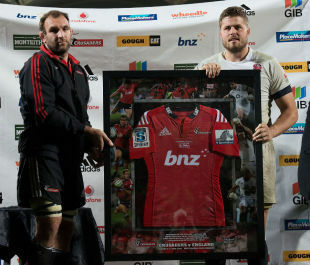 They should cherish and remember this for the rest of their careers and they should hopefully go on and be All Blacks. These are lifetime memories."